Tilburg 23 August 2018 – a private investor has signed a long-term lease with Welch Allyn for the business premises located at Maidstone 28 in Tilburg. This high-quality building is located on business park ‘Tradepark 58’. The tenant leases approx. 950 m² office space and approx. 480 m² of warehouse space. Welch Allyn is a provider of daily practical diagnostic tools that helps doctors and nurses provide better care for their patients. 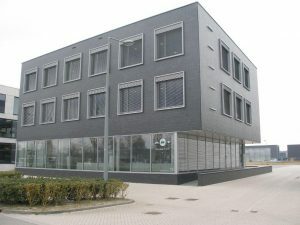 From the new location in Tilburg, Welch Allyn will support European customers in the use of their delivered equipment. Tenant was advised in this transaction by INDUSTRIAL real estate partners.